So there is more. Several posts ago, I talked about the high-end beauty products I purchased from my Tokyo. Of course, I didn’t just raid the luxury beauty stands because Japan has some of the best drugstore makeup I have ever tried. I think that if you only purchased makeup from a Japanese drugstore, you would be very happy with the quality. Before I went to Tokyo, I had already made of list of drugstore makeup products I wanted to try using a Japanese makeup review site, called Cosme. To be surprise, they actually had a Cosme store, where they sold all the best ranked beauty products. Don’t even ask how much I spent there! Like many beauty brands in Japan, they are usually part of one of the bigger companies in the Japan beauty market. After some research on their website, I found that Visée is a part of Kosé, which also owns other renowned Japanese brands, like Jill Stuart and Decorté. Visée’s target market is actually young adults, which at the drugstore price point, I can see that. However, I have really enjoyed everything I have tried, so I wouldn’t necessarily consider it a teen line. I guess, since the brand concept is to create trendy makeup for a more mature, and glamorous look, the more wearable colours can suit anybody. I chose to get this Lip & Cheek because I see that it often places in the Top 10 of Japan’s cosmetic ranking site, Cosme. Unlike Jill Stuart, the packaging is black and almost has a gothic feel. One of the most exciting aspects of travelling is discovering new places and experiences. When it comes to beauty shopping, the most exciting thing is discovering a new beauty item with endless potential. For me, that would be this Calypso Magic Concealer. In the Cosme Store, it was rated in the Top 3 for best concealer. I had to get it, not only because it was such value, but I was hoping that this concealer would be the one! The concealer that will truly hide those dark circles and not emphasize those fine lines. As I did more research, I am guessing this product might be from a smaller brand as I can’t even locate their website. From their packaging, I know that it has won a lot of beauty awards. There are literally 5 stickers indicating the awards they have won. This concealer is supposed to address uneven skincare texture due to acne scars, fine lines, wrinkles, and pores. It also helps to even out dark under eye circles. It comes in two colours: salmon beige and pink beige. Ever discover a new beauty product and wonder how someone didn’t come up with this before. For me, that would be the New Born W Brow EX. I bought this product on a whim and I have loved it since. It is a 3-in-1 product that includes a brow pencil, brow powder, and spoolie brush. The brow pencil gives you definition while the powder is great for filling in the front end of your brow and filling in gaps in your brows. Plus, it is pigmented and stays put for most of the day. So when I spotted a similar pencil made by Excel, I had to purchase it to perhaps do a comparison later on. I mean that packaging is exactly the same except for the colour. Later on, I did find out both companies belong to a beauty brand called SANA so I guess they are just using the same packaging. However, I did manage to swatch the Excel one in-store and I feel like it is more on the waxier side, which is bit more similar to the cult-classic Shu Uemura Hard 9 formula. Stay tuned for my comparison! I have a lot more to share, so I have been slowly documented my haul on my Instagram. You can check it out if you are interested. I discovered this blush as part of a Christmas gift set from my sister, and I have loved it ever since. If you have been reading my blog for a while, you know that I love Japanese cosmetics. They have such beautiful packaging and effective formulations. The blush I am talking about is the Coffret D’or Smile Up Cheeks. I decided to picked up the blush again after hit pan from my local Japanese beauty store, but it might be more difficult to purchase out of Asia. Here are some websites that ship internationally where you can purchase it: Yesstyle and Sasa. Coffret D’or is a department store brand from a large beauty brand called Kanebo. They also own other Japanese brands you might have heard of like Kate, Lunasol, and Media, which I also love. I didn’t find out till after the fact, but this blush has actually won a No. 1 spot on one of Japan’s major beauty ranking websites called Cosme (similar to Makeupalley). I think it deserves that rankin! Let’s start off with some of the claims of this particular blush from their website (I just used Google Translate, so if there are any discrepancies, please let me know). Do I think this is the most beautiful packaging ever? Probably not for a department store brand. However, the dome shape of the clear lid allows you to see the beautiful swirled rose design stamped into the blush powder. Plus, it also the houses the small brush that allows you to take it on-the-go. Even though the brush is small, it is very soft, and great for the intended application of this blush. Their website shows you that this blush is supposed to be applied using a two-step technique. Using the included brush, you are supposed to swirl the brush in the centre portion and apply it to the centre of cheeks. Then, you swirl the brush around the outer portion of the blush and then apply around the perimeter of your cheek to blend out the colour. Sometimes, the pigmentation can be quite intense for work, and I will just use a big fluffy blush brush and swirl it around the entire blush pan. The powder is very soft and finely milled. There isn’t a lot of fallout though. It provides your cheek with a soft glow, which is not super shimmery. The effect is kind of hard to explain. When you swatch it, it looks a bit frosty, but when you blend it in, it sinks in quickly, and gives a very natural glow. I am amazed at how smooth and flawless it makes your cheeks look. I have quite dry cheeks and it keeps them looking glowy without resorting to a cream blush. I am amazed at how this blush lasts! I apply it in the morning and it is still there at night. I have tried it on top of different foundations and the colour is almost as vibrant as when I applied it in the morning. I remember the first time I used it and looked at myself after work, and I was shocked that my blush was still there. VERDICT: I am just in love with blush. I just want to get more shades! They say “you only have one chance to make a first impression.” This may be true in a job interview. However, over the years, I have found that this is not always true. I feel that once you get past the initial impression, and dig a little deeper, you often find beauty in someone. Okay, I think I might be going overboard with this analogy, but the three makeup products I am going to talk about in this blogpost were definitely love at second sight. Initial Impressions: I bought this over the summer, and the colour was too light. The texture also was quite thick and started to break up and go patchy on my skin after a few hours. Second Look: I just couldn’t give up on this product mostly because it had been raved about so much online. Not to mention it was also quite pricey, and included a refill as well. I figured I couldn’t give it away yet before trying it one more. I am so glad I did because once winter hit the shade was perfect for me! It really did create a flawless coverage while concealing blemishes, wrinkles, and fine lines. For a Korean cushion foundation, it is not actually super glowy. I would say it gives a natural skin finish. To combat the thick texture, I found out it was much better to apply two thin layers instead of one thick one. I usually take a small dab and dot it around the face before I stamp it into my face. It says that it lasts 12 hours on the website, but I feel this is a base that looks best on initial application. It gets a little dry and fine lines start making an appearance at around the 6-8 hour mark. That perhaps why it is considered a portable foundation so you can touch up on-the-go. One last thing I really enjoy about this cushion is that the puff is beige so it never looks extremely dirty because the colour of the product matches the puff. First Impressions: This is a bit of a cheat, but I had to return the original Bite Beauty lipsticks (I don’t remember if they had a name) due to the strong scent that lingered after application. I loved everything else about the lipstick, except the scent was making me physically ill.
Second Look: One day, while visiting Sephora again, I saw that they had put out their Amuse Bouche collection, and really wanted to give them a try again since I really enjoyed the formula minus the scent. I was super happy to find out that this time around the scent was derived from freshly pressed grapefruit, lemon, lime, tangelo, mint, and mandarin. If there is one scent I can tolerate, it is citrus scents. The mint still bothers me a little bit, but I love the product so much it is worth it. The formula is so moisturizing even without a lip balm underneath. I am amazed by how long these stay on the lips. I mean, some of it comes off during eating, but there is still definitely some pigmentation left over after most meals. I was reading on the website that pearl, silk, and red wine resveratrol prolong the wear of this lipstick. That sure sounds super luxurious! First Impressions: I hesitate to put this product into this post as it was part of a limited edition set, but I have been using so much the last few months I decided to leave it in. This was a lovely present from my best friend and I liked this blush when I got it. However, the colour was really pigmented even if you used a sesame size amount, so I used it on and off during the year. Plus, it was one of the blushes that might have caused some bumps to appear on my dry cheek area, so I put it on hold for a while. Second Look: Fast forward to the last few months, and I’m using it like almost everyday. It is not that anything changed about the product, it is just what I wanted out of my makeup recently has evolved. Since I have been wearing less eye makeup, due to ocular shingles a few months ago, I have loved focusing on my cheeks and lips and this cheek colour just fits the bill. It is pigmented and lasts all day. It has a cream to powder finish which makes it a good backdrop for a glowy highlighter I am into lately. Plus, I have found out that since I have been using more snail products, my cheeks have been more moisturized and I don’t have the problem with bumps on my cheeks. Hope this comes out again with another holiday set or I might have to consider getting their cream blusher, which is just as beautiful. 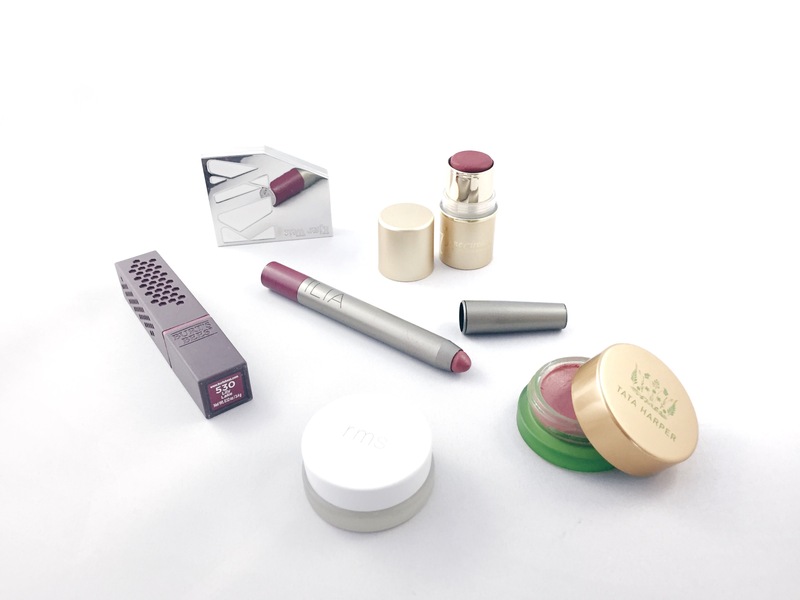 When you haven’t experimented with a brand before, I find it is best to try out their bestseller or “cult favourite” first to get a feel for the brand. Moreover, as a beauty blogger, I feel it is always important to know how the “classics” preform, so that you can provide a baseline for your readers in your reviews. In the last few months, I bought three of these cult favourites to try. So did they live up to their cult status? Believe it or not, as a makeup lover, this is the first bronzing powder I have ever owned. Since I had no experience with bronzers, I figured it was best to go with the most renowned one. Guerlain even calls themselves an “authority” in the bronzing department on their website, so I figured I had to get it. The Guerlain Bronzing Powder is supposed to be mistake-proof because it blends in seamlessly to give you a natural glow. It also has special moisturizing ingredients that don’t dry out your skin. VERDICT: Mistake-proof? I would say yes unless you apply a lot. Blends seamlessly? For a powder, I am surprised at how easily it blends into your skin. The colours are also very natural, not orangey at all. Plus, the little bit of shimmer really adds a glow to your skin. All these aspects make this bronzer a must-buy, but my favourite thing is actually the scent! VERDICT: The texture of this concealer is so different from anything I have used before. It is so thick and waxy. To be honest, it took me a while to get used correctly applying. To start off with, I have no idea how to mix the shades together to get my shade. I tended just to use the shade on the right. When you apply it on the skin, it really doesn’t blend out at all. So for the must part, I tend to dab it in with my finger or a small brush and use a brush to blend out the edges. That is perhaps why is it is best for “pinpoint concealing” (I just took this term from Lisa Eldridge) because it really is quite dry for the entire undereye. I will sometimes use it sparingly on the really dark areas on my undereye circles. However, it really does wonders covering blemishes, scars, and redness and lasts almost all day even without powder. As an avid Youtube watcher, I often hear this blush being raved about over and over again and how it was amazing for the price. Finally, on my trip to Los Angeles a few months ago, I was able to pick one up. I think the Milani baked blushes are even more raved about, but I had to get this one because of the beautiful rose pattern. The Milani website states that these blushes give a natural glow that “shapes, contours, and highlights” the cheeks. This blush comes in 8 shades and is able to complement every skin tone. VERDICT: Other than the beautiful rose pattern that prevented me from using it for a week, this blush has so many things going for it. The price is amazing, the blush is really pigmented, and it lasts all day. I mean, the only thing I can fault it a little for, is that it doesn’t blend out as easily and evenly as some other higher-end blushes. However, I think it almost as good or better than some blushes with a higher price tag. All in all, these 3 cult products did not disappoint. I would wholeheartedly recommend all three of them to anyone who is looking to spend money on reliable products to add to their collection. I enjoy both of these blushes so this isn’t a true “This or That” blogpost. For me, I would probably buy both of them. I personally find it nice to have a blush collection that can give you options. However, if you only had the choice to buy one, I hope this blogpost can give you some insight as to which one you should buy. The blushes I am talking about today are the Jane Iredale In Touch Cream Blush in Confidence and the Tata Harper Volumizing Lip & Cheek Tint in Very Sweet. Both come from brands that are committed to producing “clean” beauty products. They both use natural ingredients and are cruelty-free. However, their individual branding is quite different. Jane Iredale has more of a focus on creating mineral-based makeup that is for problematic skin. On the other hand, Tata Harper‘s line is more focused on using advanced technology to create effective formulas that are natural and non-toxic. I have already done a blogpost reviewing the Tata Harper Volumizing Lip & Cheek Tint here. However, I thought it would make for a more interesting blogpost to compare it with the Jane Iredale cream blush since it might be more accessible to some (it is available at Sephora). The Tata Harper blush comes in a glass tub. On the other hand, the Jane Iredale one comes in a stick form. Both brands use recyclable paper in their packaging with Tata Harper also using recyclable glass. I mean, I find both convenient to use, so I don’t have a major preference for either packaging. I will say that the Jane Iredale cream blush stick completely fell out the package the first time I used it. However, I pushed it back in and it was a pretty easy fix. Hmm, not sure if that is a good thing actually. With the Tata Harper blush, you just swirl your finger in the tub and dab on the cheeks. You are supposed to dab the Jane Iredale from the tube and then dab on the cheeks, but I didn’t read the instructions like usual. I just put the product straight on the cheeks and then blended it out. I personally think it works well with either technique. Both blend really easily for a cream blush. I think the main difference is that the Jane Iredale blush shows up like the colour in the tube before you blend it out on your skin. It is more pigmented in colour and you can built up the colour more. I must say that both blush are not super pigmented and give more of “natural flush.” The Tata Harper blush really doesn’t build up much colour even if you apply a few layers on your skin. What about the scent? I feel like this will totally be a personal preference. The Jane Iredale blush smells like chocolate basically. It sounds great, but as a person that doesn’t enjoy fragrance in products that much, I didn’t really love the fragrance after a while. The Tata Harper blush smells like coconut water and berries. Both scents don’t linger too long after application. They are almost the exact same price. The Tata Harper blush is $36 USD and the Jane Iredale is $35. I was surprised that both blushes last a good 8 hour work day on me. They might not be as vibrant as when you initially applied them, but the pigment is still there. Of the two, the Jane Iredale does last a bit longer perhaps due to the cream to powder finish. VERDICT: I recommend both of them if you are wanting to get into natural cream blushes or if you want achieve that healthy flush look. Just a note that both blushes can be used on the lips and the Jane Iredale one could also be used on the eyes. After trying it on the lips, I find that both products were best suited for the cheeks. Both didn’t feel very moisturizing or pigmented for my liking as a lip product. I haven’t been able to wear eye products so I haven’t tried the Jane Iredale item on my eyelids yet. My love for Korean beauty continues to flourish! I am especially in love with their skincare because many of their products give such instant results. As per my last empties post, I simultaneously ran out of several items in my skincare routine so I needed to stock up again. I am still love ordering from the Glow Recipe, which stocks a curated selection of natural Korean skincare products. Plus, I also purchased a few makeup items from Missha which I will talk about at the end. This is a repurchase. I had been using some heavier moisturizers and felt it was time to switch to something lighter in the summer. This is a great moisturizer for the summer because it absorbs quickly and doesn’t feel tacky at all. The scent is quite subtle as well. Plus, it just has a great list organic ingredients that have been fermented, which seems to be a popular and effective technique used in a lot of Korean skincare. I already use essence, lotion, moisturizer, and an eye cream. Did I really need to up the anti and do the complete the entire multi-step Korean skincare routine? Probably not, but I couldn’t help myself. This ampoule promised to bring back the glow in your skin and at my age, it sounded like a good idea. Plus, it was always in the top 5 of Glow Recipe’s bestsellers, so I had to give it a try. Packed with 50% propolis and 20% multivitamins, it absorbs quickly and is non-sticky. Can’t wait to also try it mixed in with a foundation for the additional glow factor. I am always on the lookout for a champagny or light gold metallic eyeshadow, like Stila’s Kitten, because they are great for a quick all-over shade for an everyday look. Another great option is Shu Uemura’s Pressed Eye Shadow in ME Light Beige 825. So I was getting some CosRX skincare for my sister’s birthday present, and spotted these Missha eye shadows online with a light gold shade. First impressions is that it is definitely not as pigmented as I hoped and has more of a puddy texture. I think it will serve more as a glittery overlay and is really more glittery than glossy, so I am a little disappointed. I have grown to love blush so much. I used to be totally an eyeliner girl, but recently I have begun to really appreciate the power of blush. It can easily make you look more awake and your face more dimensional. When this blush arrived in the mail, I was amazed at how pretty the packaging was. For a roadside brand in Korea, the packaging was made of a sturdy plastic with crystal-like etchings on the bottom. The blush is a dusty pink, which is right up my street. Plus, it smells great as well.